Assemble your favourite Pixar Stars! 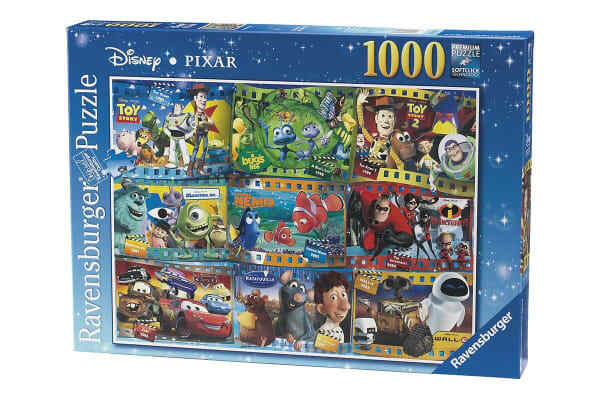 Make your favourite Pixar characters come to life with the Ravensburger Disney Pixar Movies 1000 Piece Puzzle! The puzzle is great for bringing out at sleepovers or adding to family movie night. 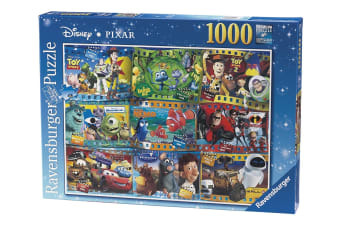 Featuring scenes from Toy Story, Toy Story 2, A Bug’s Life, Finding Nemo, The Incredibles, Cars, Ratatouille, Wall-E and Monsters, Inc., the Ravensburger Disney Pixar Movies 1000 Piece Puzzle is packed with familiar faces kids and adults alike will enjoy piecing together. The fun of the jigsaw puzzle is that everyone from kids to adults can pitch in and help put it together, the more the merrier!